chilli | Izzy have you eaten? After a slew of exams, your cousin Dave decided it was time to de-stress in the kitchen and cook up a huge pot of his famous chilli. There was no resistance from the rest of the house hold. Anyway….. all afternoon came industrious sounds from the kitchen, including the clink of a few beer bottles to keep the chef company…. It was worth the wait: we sat down to hearty bowls of rice and chilli and fresh made guacamole which cousin Tash whipped up after being on call all day…. In a fry pan, heat two tablespoons of olives oil, and in small batches, brown the mice well and set aside. 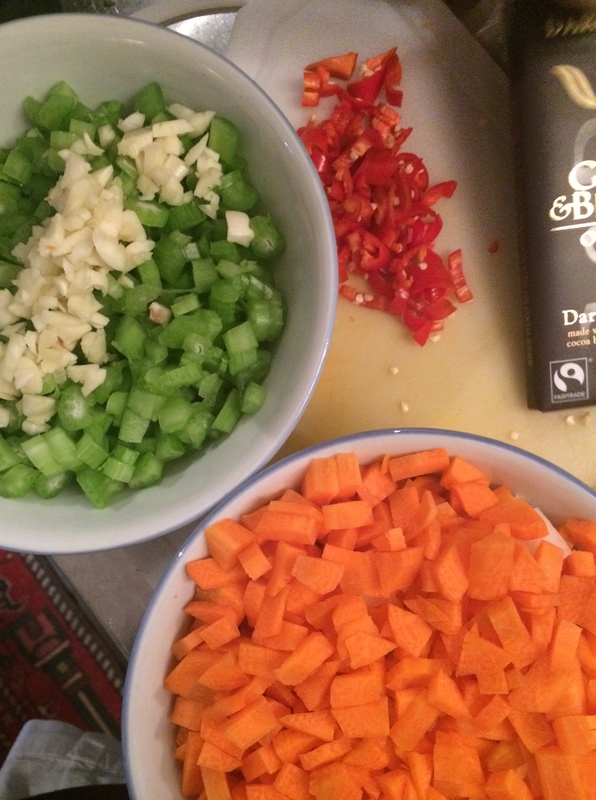 Peel and chop the onions, garlic, carrots, celery and chillies. Put a heavy based pot on a medium high heat. Add 2 tablespoons of olive oil and all your chopped vegetables. Add the chilli powder, cumin and cinnamon with a good pinch of salt and pepper. Stir occasionally until softened. 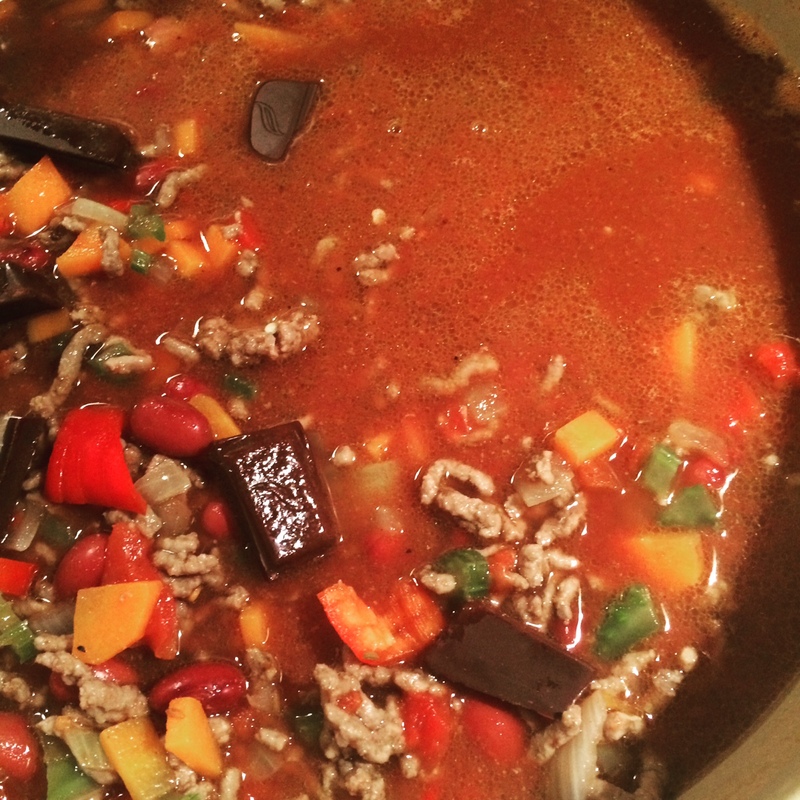 Add the drained kidney beans and the tinned tomatoes. 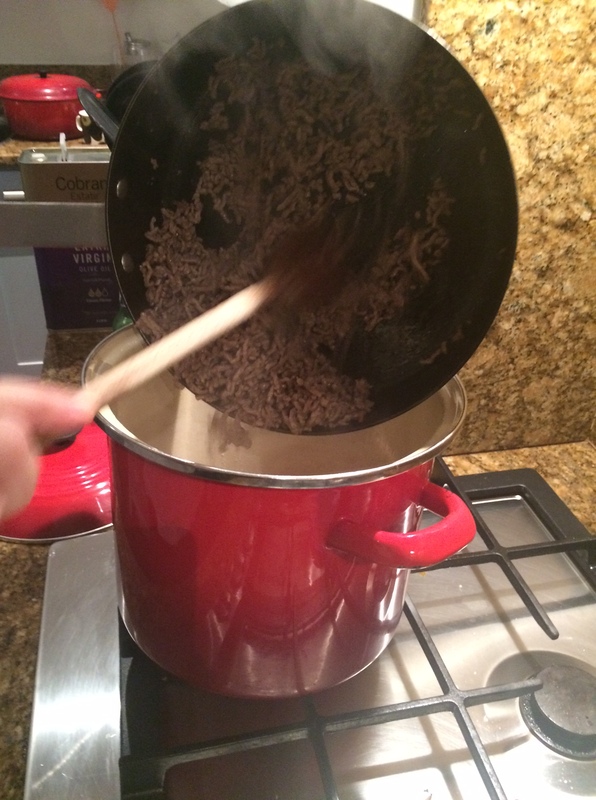 Now add the minced beef. Pour in the beef broth, and the Chianti. Season with salt and pepper. Bring to the boil and turn the heat down to a simmer with a lid half on, stirring every now and again to stop it from sticking to the base. Let the pot cook for 1 to 2 hours, allowing the liquid to reduce. In the last half hour, stir in the pieces of chocolate. Adjust seasoning. Serve the chilli with white rice, sour cream. guacamole, and a green salad. Plenty of lime wedges in a bowl for added zing!